ML Executives has recently invested in Sennheiser’s range of 2000 Series in ear monitoring products. The new additions to the rental inventory expand the company’s offering of IEM systems to include Sennheiser G3 & 2000 Series and Shure PSM900 & PSM1000. The transmitter for the Sennheiser 2000 Series range of IEM products is the SR2050. This is supplied as a 1U, full width unit that contains two stereo transmitters. The 75MHz switching bandwidth of each transmitter allows for multiple systems to be used at the same time. The 2000 Series IEM systems feature industry leading HDX companding circuitry allowing for sonically pleasing and accurate reproduction of content for the listener. The menu structure on the unit is easy to navigate and allows for settings to be uploaded via infra-red transmission to the EK2000 IEM receiver unit. The SR2050 also features an ethernet port allowing multiple units to be connected through a network switch. 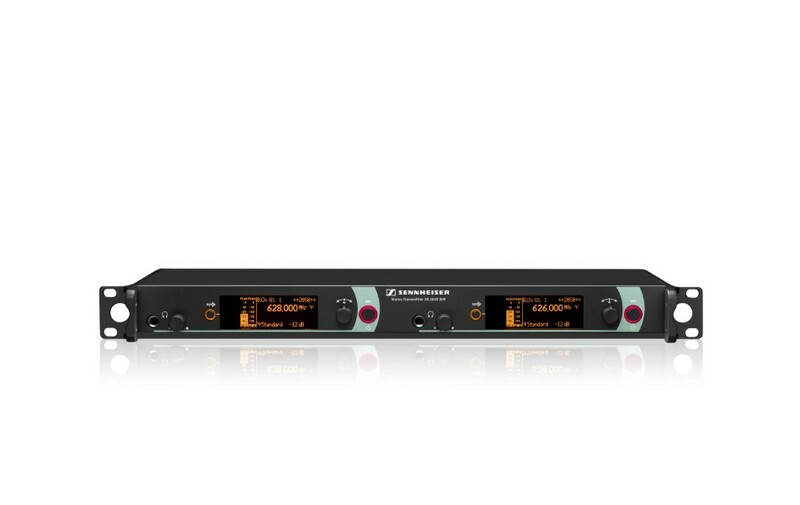 Using Sennheiser’s Wireless System Manager (available for Mac or Windows), the SR2050 units can be controlled and monitored remotely which allows for rapid setup of multiple units and continuous monitoring. The beltpack receiver unit of the Sennheiser 2000 Series IEM system is the EK2000 IEM. The small and lightweight unit is fitted with a belt clip for easy and discrete fitting on the user. The volume control is an easy to find knob located on the top of the unit adjacent to the 3.5mm headphone jack socket. The EK2000 pack is powered by two AA type batteries. Alternatively a proprietary rechargeable battery system is available with either rack-mout or desktop charging units. Rechargeable batteries can be recharged either directly in the charging unit, or whilst still fitted in the EK2000 pack using the built-in battery charging contacts. ML Executives offers a range of generic in ear headphones to suit individual choice and budget. The industry standard Sennheiser IE4 is available with all IEM systems from hire stock. Shure SE215 sound isolating earphones are also available with conformable foams to ensure the perfect fit every use. The packages of 2000 Series IEMs available from ML Executives have been built to include an AC 3200-II active antenna combiner. This allows for all 8 channels of transmitter in the package to be combined to one antenna, with minimal loss or signal degradation. The unit can handle up to 100mW input on each of its 8 input channels. The circuitry provides leading performance in the suppression of intermodulation products in the connected transmitters. This is invaluable in larger systems of wireless products in the increasingly congested wireless spectrum in which we operate. ML Executives has built these new systems into eight channel packages. Each package includes four SR2050 dual transmitters and an AC3200-II antenna combiner. Receivers can then be added to meet the users needs. Packages are currently available in the Sennheiser Aw frequency range which spans 516MHz – 558MHz. To read more about the Sennheiser 2000 Series IEM system , head on over to Sennheiser’s website to read more. To discuss your rental or purchase needs for in ear monitors, contact ML Executives using the details at the bottom of the page.